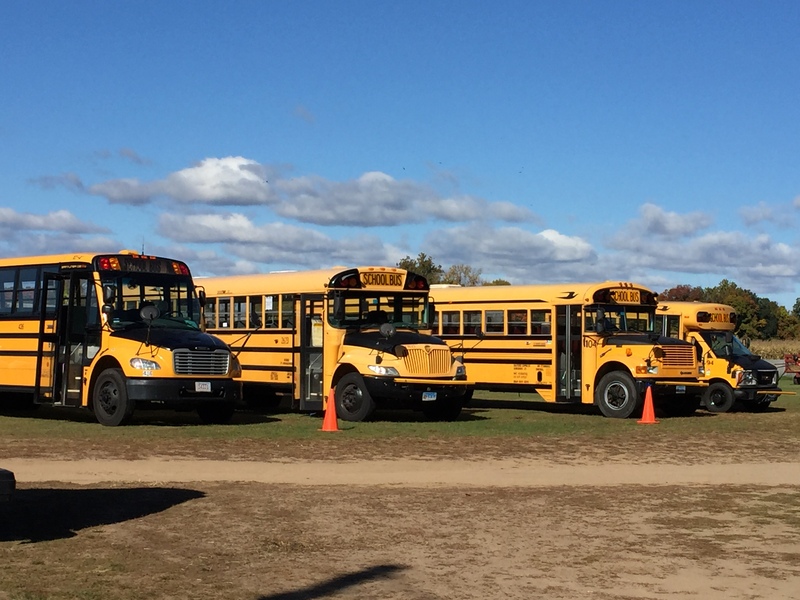 Celebrating “41” years of our Pumpkin/Hayride Program!! Come spend an hour or the afternoon down on the farm. Our educational farm tours will make the children excited to learn. Programs are especially designed for groups of children ages 3-8. We can accommodate any size group and have covers for our wagons in case of rain. Minimum 15 people, or $100 minimum fee for fewer then 15. Please fill out the Group Hayride Reservation Form to reserve a spot. A small sugar pumpkin chosen by each child. These are just the right size for this age group. For the children’s safety we pre-pick the sugar pumpkins and have a designated area for them to choose from. This protects the children from tripping over vines. Our homemade mini cider donuts and cup of cider. An activity/coloring booklet for each child to take home, reinforcing things seen and done on the farm. Available for use by teachers are storyboards illustrating how pumpkins grow from seed to fruit. We will again feature Spookley the Square Pumpkin! This is a great lesson on how diverse and special we all are! A children’s mini-cornstalk maze and play area for the children to go through and explore. All groups get 1 teacher at no charge for every 10 paid children. They must show school ID /all other staff members and chaperones are at group rate. Whether you are planning a small get-together or a larger, fun-filled corporate event designed to build camaraderie and enhance team-building, we are eager to assist you with all aspects of your event. (minimum of 15 people). Rental Rate- $200.00 for 2 hours (this includes setup/cleanup). $125. for each additional hour. General Admission applies and MUST be purchased for all attendees. What’s included an “ALL ACCESS” General Admission? TIRE SWING, CHILDRENS PLAY AREA AND MINI MAZE, FIRE TRUCKS AND MANY OTHER ACTIVITIES. 2 and Under: FREE . We can accommodate any size group. Minimum (20) people. 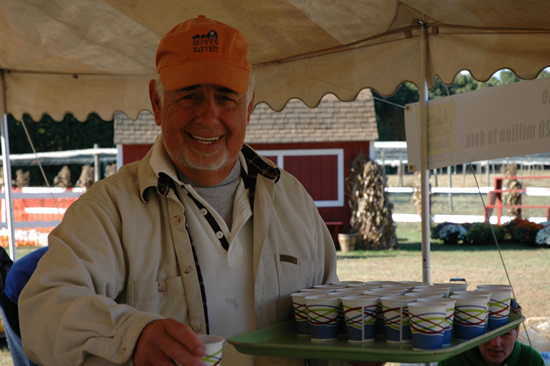 We welcome everyone to the farm for fun family-friendly entertainment! 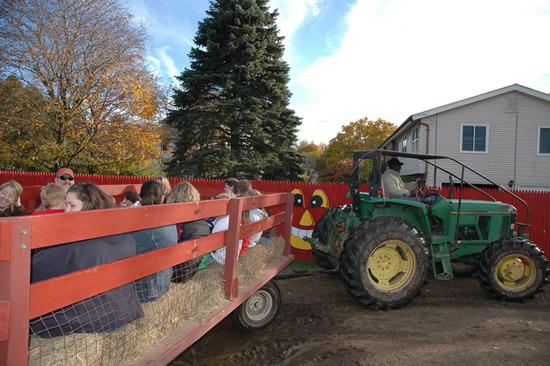 Group hayride reservations are for groups of 15 or more (or $100 minimum fee). Make your reservation today!